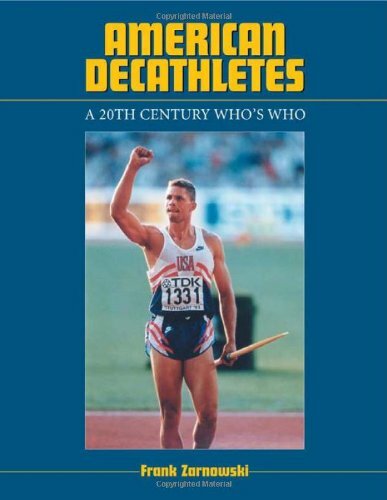 American male decathletes have enjoyed tremendous success over the course of the past century, winning 10 Olympic medals and setting 22 world decathlon records. From Dennis Adama, a world-class high jumper while at Indiana State University, to Matt Zuber, who won 8 out of his 41 career decathlons, this work summarizes the career records of 319 of the most important American decathletes of the 20th century, including Jim Thorpe, Dan O' Brien, Bob Mathias, Rafer Johnson, and Bruce Jenner. All Olympians, international team members, national and collegiate champions, and members of the United States National team are profiled. Each entry describes the individual athlete's accomplishments and provides a statistical record of his entire decathlon career. A section on decathlon coaches and a comprehensive list of all world and United States decathlon rankings are provided.